I started a tradition when Ella was born to give her holiday pj's every year and allow her to open them on Christmas Eve. In the morning she would be wearing her new pj's for all of her pics. Plus winter pj's are essential! I've had the most difficult time this year finding organic holiday pj's, but I did find the next best thing, Snug Organics. Majority of pj's are flame retardant, which means they have been treated with PBDEs-polybrominated diphenylethers. This chemical has been known to save lives since the chemical slows fire ignition and the rate of fire growth. Sounds like a good thing right... but it's not. Monitoring programs in Asia, Europe, North America and the Arctic have found that PBDEs are in the air, our drinking water, food and they have even been found in the depths of the ocean- 3,000 feet under. Traces of PBDEs have also been found in breast milk, blood, urine, household dust, fish, aquatic birds, and other wildlife. The dangers of PBDEs are liver toxicity, thyroid toxicity, developmental toxicity and neurodevelopmental toxicity. PBDEs do not break down in the body and accumulate in fatty tissues. Some scientists are linking PBDEs to autism, ADD/ADHD, obesity, diabetes, and permanent behavior changes. The scary part is that scientists aren't sure how the PBDEs are getting into the environment and it could be from manufacturing, aging wear and tear of the product, or direct contact with the product. The EPA has been studying this for years, but hasn't found a solution even though they know and acknowledge the health risks. They have found that North America has the highest levels of PBDEs in the environment. And yet the CPSC requires all children's sleepwear to be fire retardant or snug fitting. My solution is to keep a fire extinguisher next to Ella's room and avoid fire retardant clothing all together. Too bad we can't escape the PBDEs in computers, couches, car seats or TVs! Organic pj's haven't been treated with PBDEs, pesticides, insecticides or other harmful chemicals that can effect your child's health. 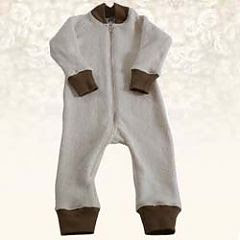 Snug Organics sells amazingly soft and snugly Organic Sherpa zip up Sleepers in sizes newborn up to 4T. They come in 4 colors: blueberry, chocolate, green apple and mango. We were sent the green apple Sleeper to review and I was such a happy mommy cuddling my preschooler and reminiscing of her babyhood. There's something about a child in a one piece sleeper. The Sherpa fabric is so soft and cuddly- just like all newborn sleepers. Every time she's wearing the sleeper, I just want to snuggle! She's my little teddy bear. :) After the first night of Ella wearing her sleeper, she complained it was too tight in the crotch. I let Snug Organics know about her discomfort and they were amazing enough to switch the sleeper with no problem. So if your child has a long torso, go up a size. The 4T sleeper fits her perfectly- still snug and safe- and she doesn't complain about the crotch at all. Snug Organics has amazing customer service, so if you have a question about sizing, contact them and ask! You can get the Organic Sleeper for $39-$48 at Snug Organics. 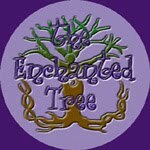 Snug Organics also has an amazing page about Eco Baby Showers. They have tons of information, games, invitations, and suggestions. So if you are planning a baby shower for someone special, be sure to check it out! Right now, Snug Organics has a contest on Facebook- Post the cutest, coziest photo of your kiddo in a Snug Sherpa Sleeper. The winner will appear on the homepage of the Snug Organics website and will receive a free sleeper. How to Enter: Visit Snug Organics and tell me something you learned and what you'd pick if you won. Make sure to leave your email address!! I cannot contact the winner without it! EXTRA entries: You must complete the "How To Enter" before making any extra entries. Make sure you leave a comment for each extra entry and tell me which one. New disclaimer: I was sent this item to review from Snug Organics. This is NO way changes my opinions about the products or company. These are my thoughts, opinions and results. I would love to get the green apple in 0-3 months for a friend who is having a baby in December!! I learned that SIDS is not found in developing countries where natural or organic sleeping surfaces are the norm. I would choose the chocolate in 2T months. I entered the •Transformational Jewelry- "Live With Passion" Necklace. They don't use chemical treated cottons. I was thrilled to learn that they zip up with "one quick zip". Thank goodness there's no snaps. If I won, I'd love the Green Apple trim. 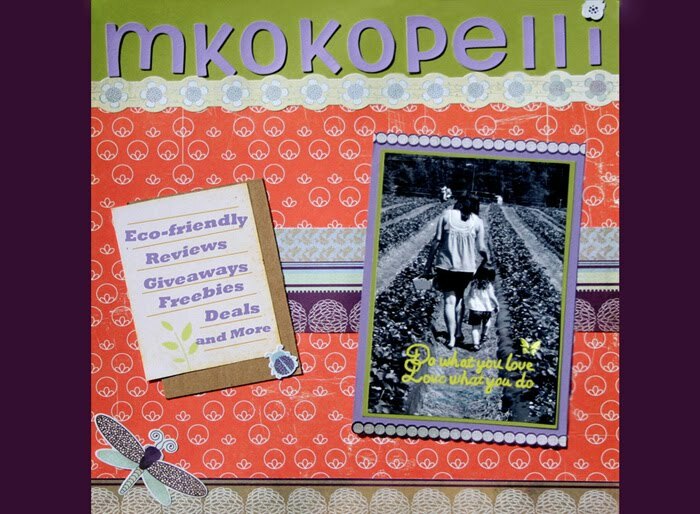 I'm also entering your Sweet Organics and Naturals Gift Code Giveaway. I learned that the sleepers are free of pesticides, synthetics and flame retardant chemicals. I learned that Flame retardant concentrations are 3 x higher in children than their mothers because their bodies can't excrete the toxins as well :~(. I would love one of these sleepers in Green Apple, size 4T. 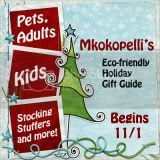 Have your Eco-friendly Holiday gift guide button! I learned that conventional cotton is the 2nd most pesticide-saturated crop in the world and one of the most environmentally destructive. Ninety percent of production involves the use of synthetic chemicals. I would choose the Snug Sherpa Sleeper 100% Organic Cotton-Green Apple in a 4T. The sleepers are free of pesticides, synthetics and flame retardant chemicals. Everything is so cute!! I would probably choose the Snug Sherpa Sleeper 100% Organic Cotton-Blueberry in size 4T! I Follow Snug Organics on Twitter as coolcanucks! I learned the SIDS is not an issue in countries where organic cotton is used. I would get the brown color in 2T. 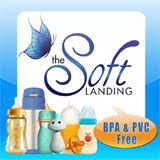 I learned that flame retardants use chemicals that have been found in blood, urine and breastmilk. These chemicals can cause cancer, thyroid problems and many more. It is terrifying. If I were to win I would like to have a sleeper with green elastic on legs and arms. I entered your Nikki Designs giveaway. I signed up for Snug Organics newsletters. I learned that natural fibers such as wool and cotton don't melt near heat, and are perfect for sleepwear since they don't contain chemicals. I love the sleepers, and would most likely get one in the green or orange trim! I learned that SNug sleepers are antimicrobial, breathable, sustainable...warm...100% Organice cotton sherpa. I'd love the Green apple trim, size 0-3 months. I also entered the Pedoodles giveaway. I became an FB fan of theirs (under my name, Piroska). I learned via a link from their site that one can make a non-toxic flame retardant treatment using borax, boric acid and hot water, though I would still choose tight-fitting organic cotton or wool pj's hands-down. Thanks! I would choose the 4T with red trim. Follow Snug Organics on Twitter (MamandeEDS). I signed up for the Snug Organics email list. I follow you on Twitter (MamandeEDS). I learned that conventional cotton is the 2nd most pesticide-saturated crop in the world. I hadn't realized the long-lasting effects of PBDE use...so scary! If I were to win, I would love the chocolate trim for my daughter. I'd pick the green apple sleeper in 3-6 months. I learned that Most clothing produced today is grown and manufactured with toxic chemicals. I'd choose the green apple sleeper. I had no idea that organic cotton LASTED longer! I like the mango snug! I'd love the Green Apple Organic Sherpa Sleeper! I learned that 100% cotton sherpas this can wash up a bit pill-y and matted. 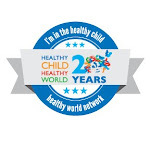 I signed up for the Snug Organics email list!